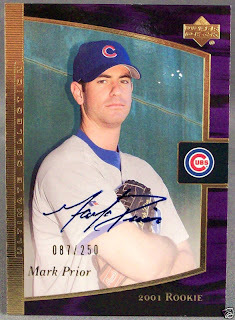 So you all thought you heard the last of Stephen, err, Mark Prior . You remember him? In fact, I know you remember him because with Stephen Strasburg’s recent injury, every one - and I mean EVERY ONE - invoked Prior’s name. 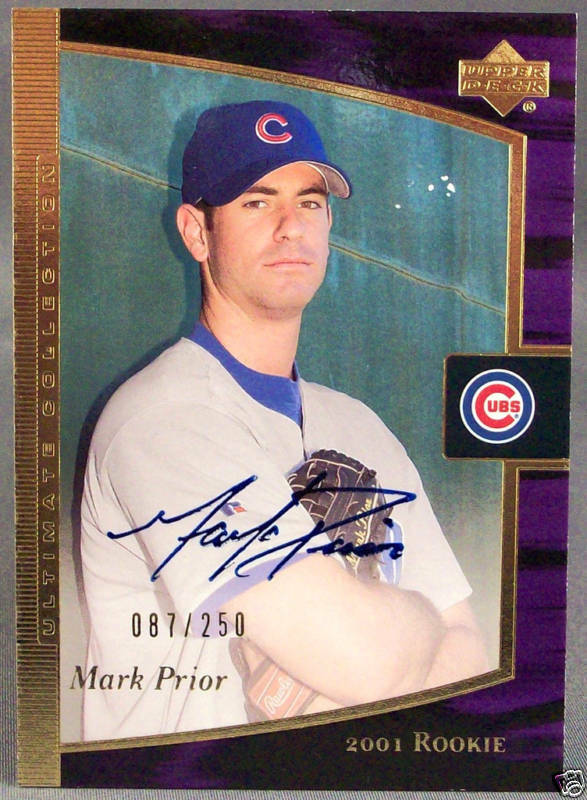 The Cubs took Prior, 29, with their first pick of the 2001 draft, second overall. A year later, he was in the Majors. He had a solid rookie season where he went 6-6 with a 3.32 ERA and struck out 147 with just 38 walks in 116 2/3 innings. In 2003, he went 18-6 with a 2.43 ERA and finished third in the Cy Young voting. Ah, we all thought we had a star in our hands. What we had was someone who used the revolving door at the hospital way too much and threw his last pitch in the Majors on Aug. 10, 2006. The Texas Rangers signed him a few days ago to a minor-league deal and he joined Triple-A Oklahoma City today. He had been pitching in an independent California league. In nine relief appearances with the Orange County Flyers, Prior allowed just one unearned run, struck out 22 and walked five. 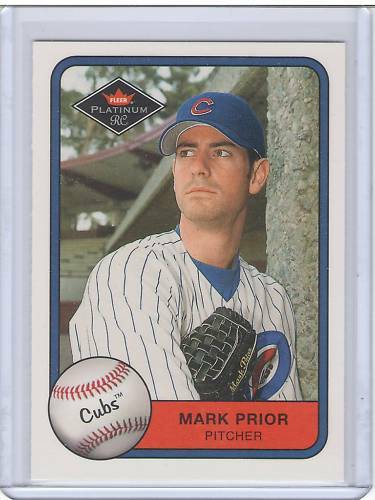 When he first came up, Prior’s rookie cards sold for $100 or more, and there are 15 different rookies of him out there. That didn’t stop people from spending money on him just as people are doing with Strasburg right now. Prior’s cards have become nothing more than coasters since then. I actually have a rookie card of his sitting in a box somewhere. I’m not sure why I never moved it. Perhaps I was waiting for this day, when I knew Prior was coming back. What do you think is his best rookie card? There is this 2001 Ultimate Collection auto RC /250 . He also had a few other autographed rookie cards, including Leaf Limited and Spx . That's a great card. Especially if he really comes back.